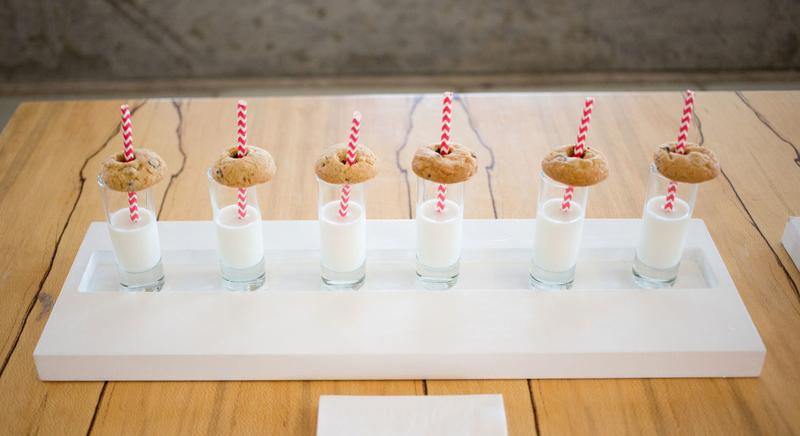 So the next time you’re cooking up an experiential marketing event, consider these ten ways of reminding people that food was meant to be fun. The elevation of simple foods to the realm of gourmet is always a great way to surprise and delight. 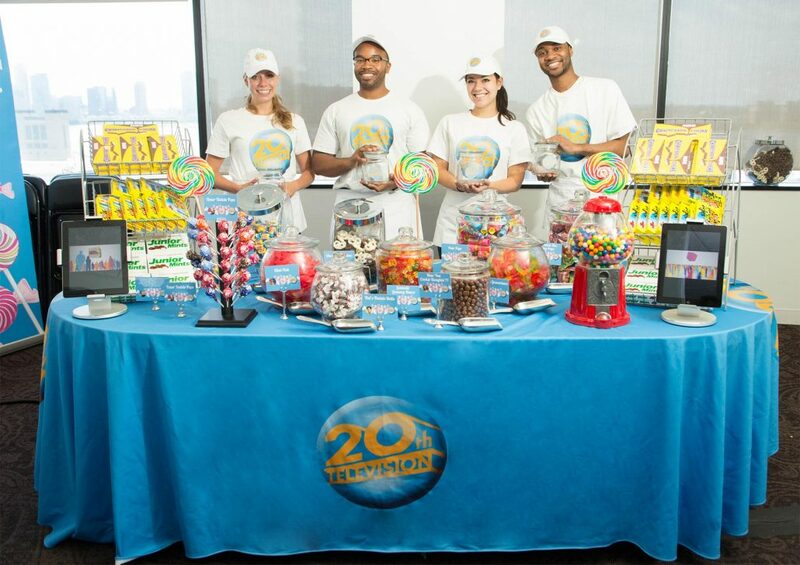 For example, when USA Network asked us to promote the launch of their first competitive reality series, Summer Camp, we knew we’d have to find a yummy way to bridge the gap between adulthood and childhood. 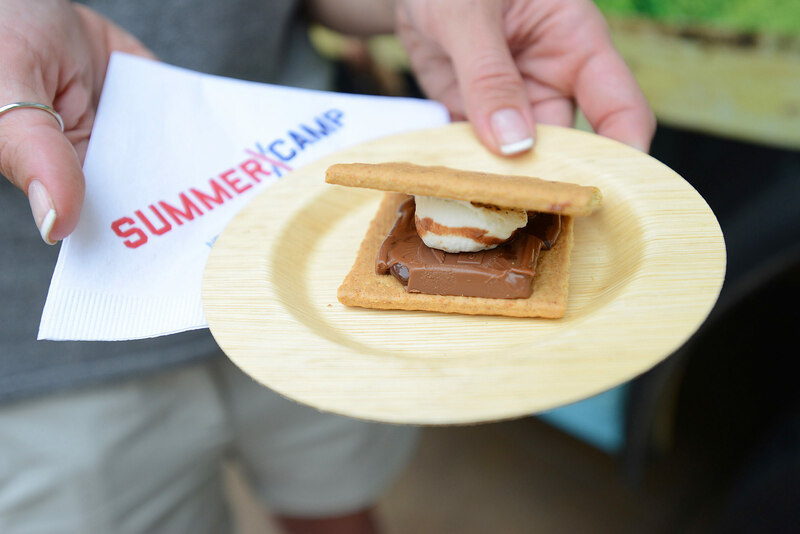 So we turned our favorite camping cuisine — s’mores — gourmet. That meant caramel-glazed marshmallow and cocoa spread wedged between warm gram crackers and served small plate style. Man, that was a good day. Get out your thesaurus and rhyming dictionary. Or just study up on homonyms. Quality punning is essential for blending bites with brands. And it makes eating all the more fun, because you’re not just eating food — you’re eating an idea. 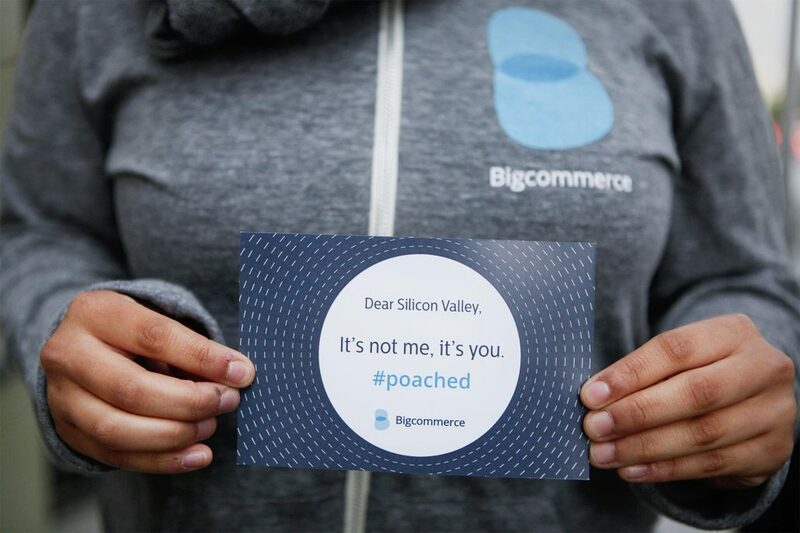 Like when we asked Silicon Valley tech engineers to enjoy some poached eggs, leave their jobs, and sign on with Bigcommerce. We have deeply-set associations between foods and times of year. But when people are feeding themselves, they don’t often have the opportunity to play with those associations. So we recommend that you do what we do: take those seasonal expectations and turn them up to eleven. Like when we traveled a massive gingerbread house around town for ION Television. This holiday season activation featured 54 pounds of brown sugar, 30 pounds of shredded coconut, and 15 pounds of icing. Not to mention the enormous gummy bears. Always remember that as much as people love food, what they love even more is really, really big food. 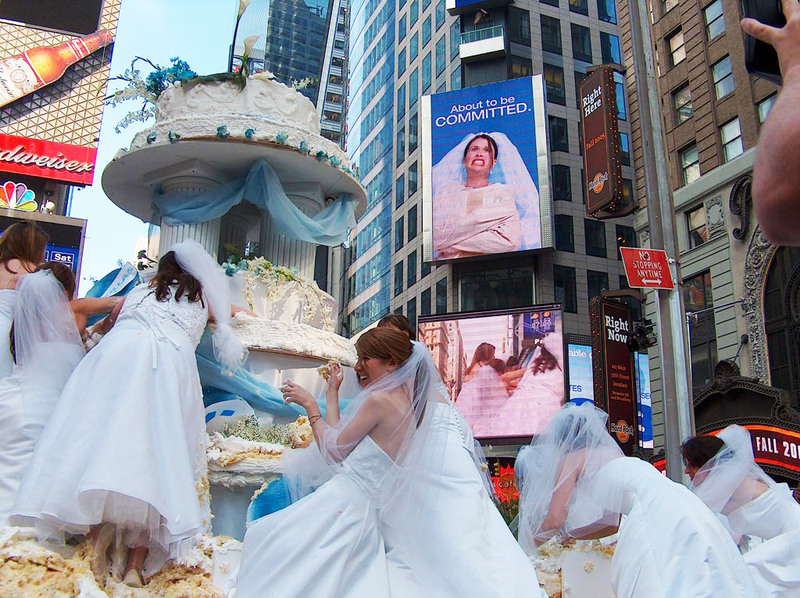 We can say that with confidence, based on our experience serving a massive wedding cake in Times Square to promote the second season of WeTV’s Bridezillas. A little nostalgia goes a long way in this business. And if you can find a clever new twist on tastes from the past, well, that’s the sweet spot. 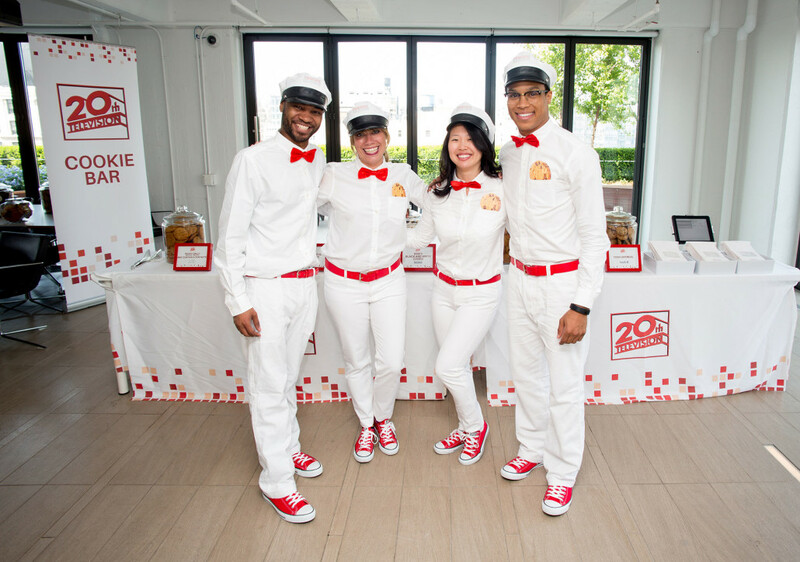 We can tell you we sure had a delectable time promoting 20th Television during the 2015 upfronts, when our 50’s-style milk men and women delivered milk-and-cookie shots to agency staff. Come to think of it, 20th Television really has inspired some of our yummiest work. 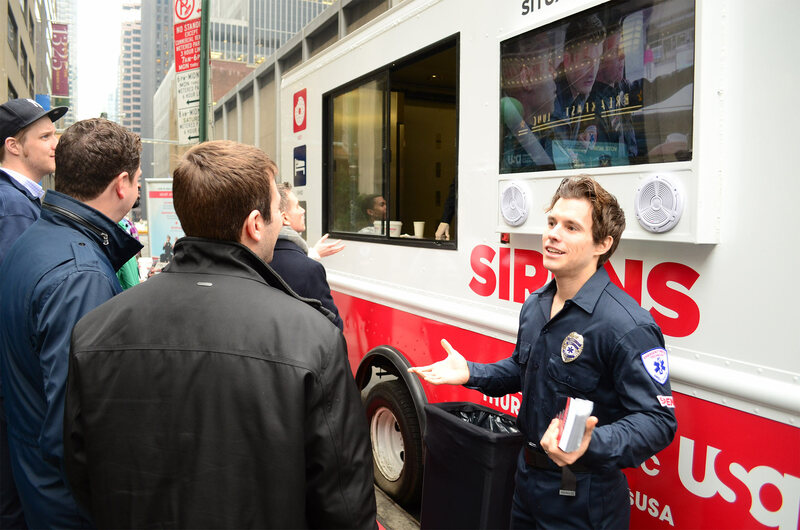 For another upfront season, we brought a buffet dining experience directly to agencies. But we ditched all of the usual buffet fare and replaced it with candy. Lots and lots of candy. Undermining traditional dining expectations has always served us well. So next time, you’re looking for a way to catch consumers by surprise, consider turning a meal on its head. And loading it up with sugar. There’s something tastier about earned deliciousness. That’s why we recommend giving consumers the opportunity to win their food. That was the philosophy that motivated us to install smoothie bikes in agencies during NBC’s Green Is Universal initiative. 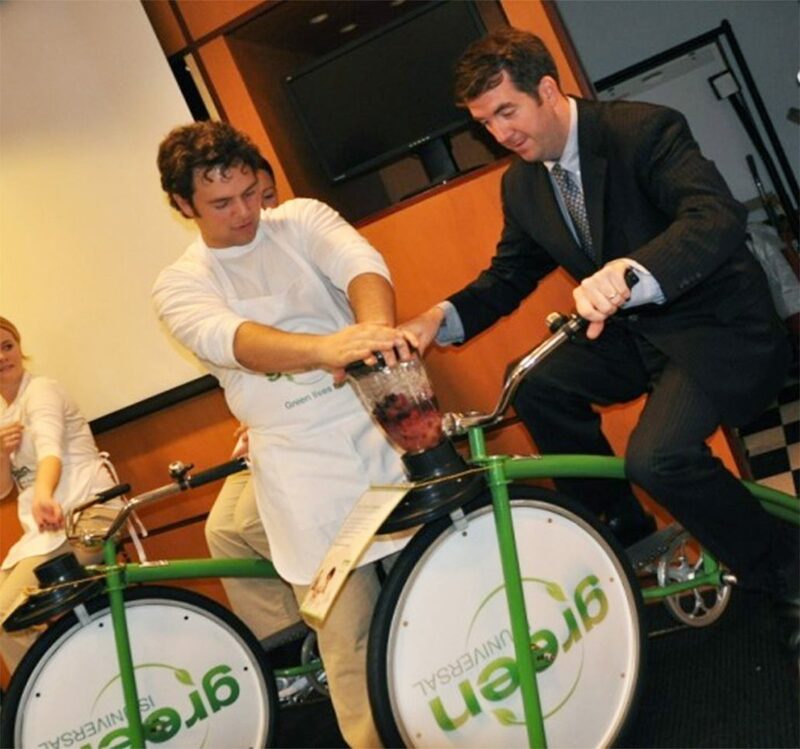 Executives jumped at the chance to hop on our bikes and blend their own pedal-powered smoothies. Never forget that way the food looks matters just as much as the way it tastes. Color-coordinated foods offer a must-seize opportunity to draw the eye and reiterate the client’s branding. 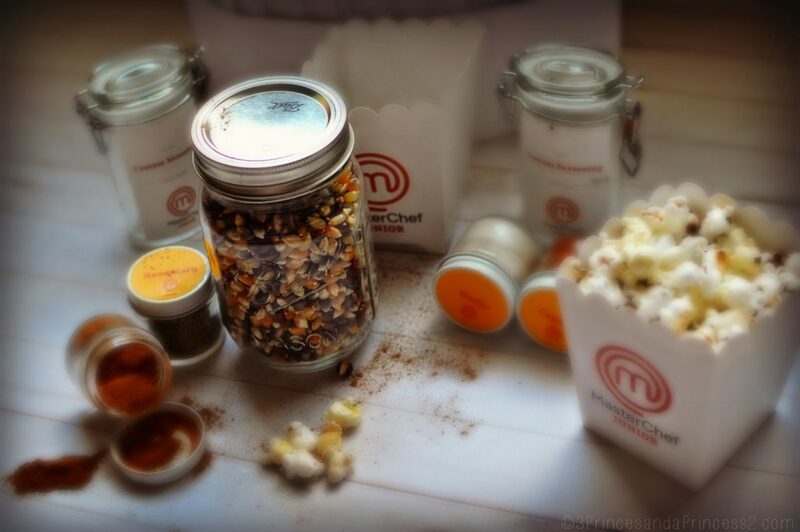 That’s why the gourmet popcorn arrangement in our MasterChef Junior mailers was carefully color-coded orange, white, and chocolate brown. That’s true brand cohesion — from kit to kernel. Finally, we can’t claim to be real radicals without recognizing that humans aren’t the only ones who deserve to play with their food. Dogs deserve to have fun too. 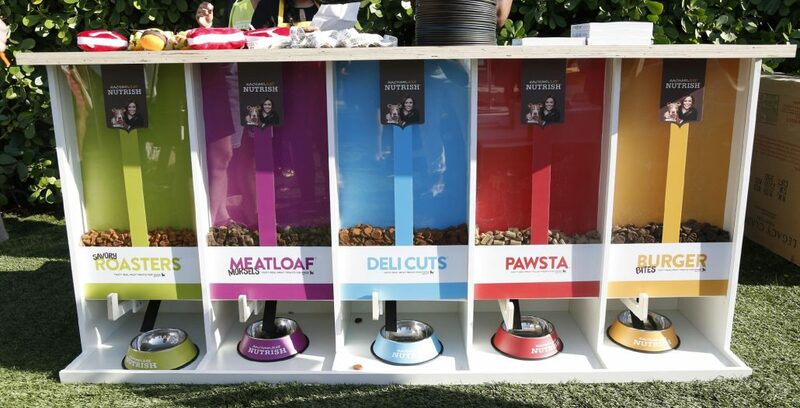 That’s why we teamed up with Rachael Ray to serve her Nutrish animal food at a bespoke bar for dogs. So the next time you’re serving food at an activation, remember to fly in the face of the established order and play with your food. And invite your pets to do the same. The michael alan group is a full-service experiential marketing agency & event production company. Check out our work and our team, and drop us a line to get creative with the cuisine at your next activation.